This very special episode of Check It Out! 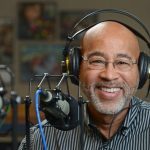 is a podcast, looking at a podcast which looks at one of the most pressing issues facing our communities today: the opioid crisis. 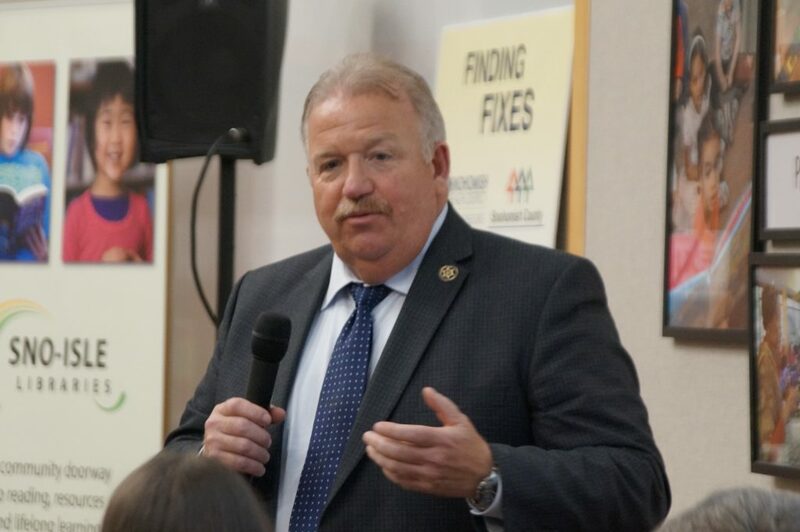 Snohomish County Sheriff Ty Trenary speaks during the November 2018 ‘Finding Fixes’ podcast event at the Sno-Isle Libraries Service Center in Marysville. Anna Boiko-Weyrauch and Kyle Norris, both with KUOW Public Radio in Seattle, created Finding Fixes, a podcast focusing on how communities and agencies across Snohomish County are coming together to respond to the opioid epidemic. 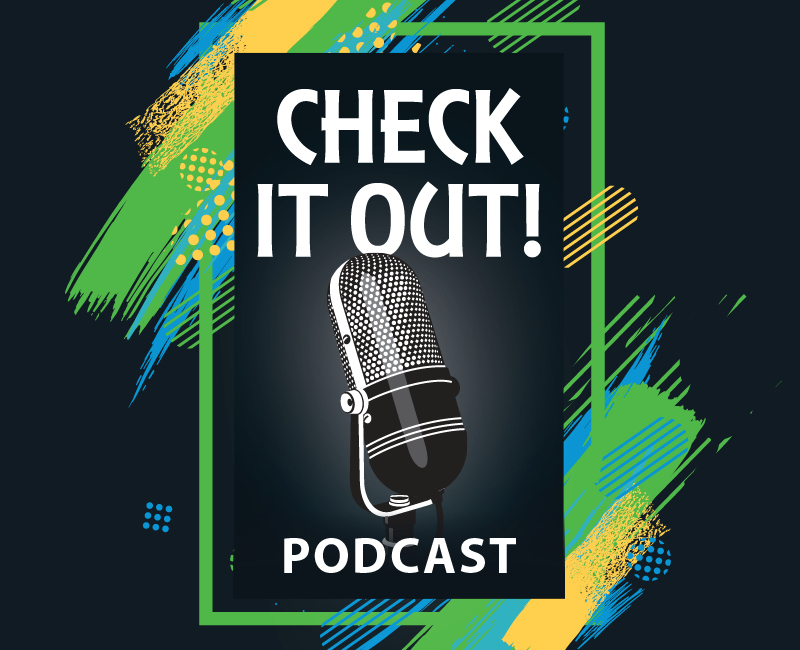 In November 2018, Sno-Isle Libraries hosted the two podcasters for an event-based conversation facilitated by Snohomish County Sheriff’s Office Director of Communications Shari Ireton. The event was livestreamed on Facebook and a transcript of the livestream is also available. Snohomish County Sheriff Ty Trenary was in the audience. He was joined by representatives from agencies involved in Snohomish County’s Opioid Response MAC (multi-agency coordination) Group, including: Snohomish Health District; Snohomish County Executive’s Office, Human Services, Department of Emergency Management, Medical Examiner’s Office, Public Works, Planning and Development Services, and County Council); South Snohomish County Fire & Rescue; Fire District 7; the cities of Everett, Arlington and Marysville, and the police departments of Everett, Lynnwood, Edmonds, Marysville, Monroe and Arlington. This episode of Check It Out! includes a conversation with “Finding Fixes” podcasters Boiko-Weyrauch and Norris to learn more about why they pursued the Finding Fixes podcast project, selected segments from the November event and comments from some of those who attended.